Albany Helping Hands first business venture started with Christmas trees in the mid-2000s. According to John Donovan, Development Director, “The lot was a big success. It was located on Pacific Boulevard at the old Hereford steer location. We had five tree lots year which provides fourth-quarter income to the shelter". In the next decade, Albany Helping Hands added a Thrift Store and Firewood Lot to its retail business ventures. Both have been successful, providing positive cash flow for the Albany Helping Hands organization, and training and work experience for guests staying at the shelter. In the past, the woodlot business volume has primarily consisted of selling cords of firewood. The lot was also providing firewood bundles or pickup truck rows for campers. in 2018 AHH has teamed with Coastal (Formally Coastal Farm and Ranch) Stores in a wholesale venture where Helping Hands will provide bundles of campfire wood to all 17 Coastal Stores from Klamath Falls, OR to Mt. Vernon, WA. In the summer of 2018 Linn County Parks has joined as a second wholesale campfire wood client. 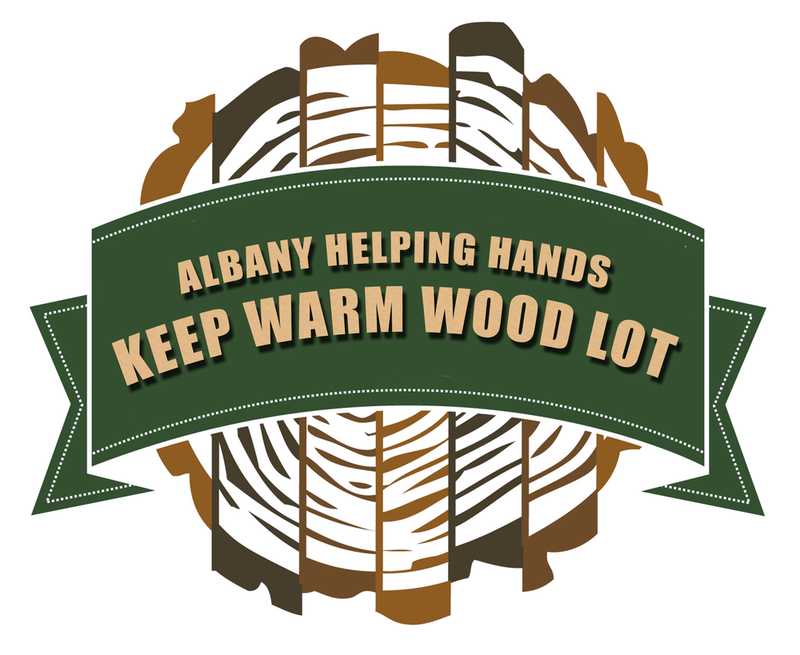 In this partnership Albany Helping Hands will provide campfire wood bundles wholesale for retail distribution at Linn County Parks. Recent shipments included wood for campfires at Waterloo, Sunnyside and Edgewater Linn County Parks. A thank you to Milt Moran and Cascade Timber Consulting in Sweet Home for providing log-truck loads of timber that we cut for firewood. Retail customers can find campfire wood or wood of almost any quantity. You pick up or we deliver and stack. The Woodlot is at 5150 Santiam Highway SE, just 1/3 mile east of Coastal on Highway 20. In 2018 our wood log splitter was stolen. It was used extensively at the woodlot to split cut logs into firewood sized pieces for fireplace and wood-stove heat sources. We also split logs and bundle into campfire wood packages for wholesale and retails sales. The log splitter was taken overnight from the Firewood lot located 1/3 mile east of Coastal and Walmart on highway 20. This was an expensive piece of equipment and is critical to our woodlot and wholesale campfire wood operations. In this time of need, Buzz Wheeler, President of Coastal stepped up and donated a new wood splitter to Albany Helping Hands to replace the pilfered equipment. Thank you Buzz. Coastal (Formally Coastal Farm and Ranch) is a long time supporter of Albany Helping Hands and donor, and a Platinum Sponsor of the Albany Helping Hands 2018 Bridge of Hope Dinner Auction. Thank you Buzz and Coastal Farm for this special donation and your continued support.